This secondary website of DrKoine.com documents the background to the seven churches through on-location video. 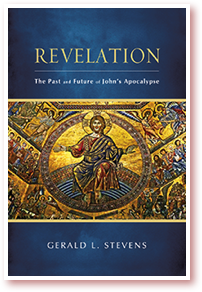 The videos supplement and enhance the use of Dr. Stevens’s textbook, Revelation: The Past and Future of John's Apocalypse. The videos cover the history of the island of Patmos as well as the historical background of the cities of the seven churches. The material is tightly integrated with Dr. Stevens’s well-received history of the interpretation of Revelation and his own, distinctive “passion-millennial” approach. Get to know the author personally as he shares his experiences. 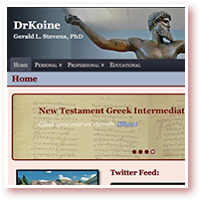 Click page image on the left to return to the DrKoine home page. Or, click here.